Benefit Street Partners provided the funding for the multifamily development in Bushwick, Brooklyn. 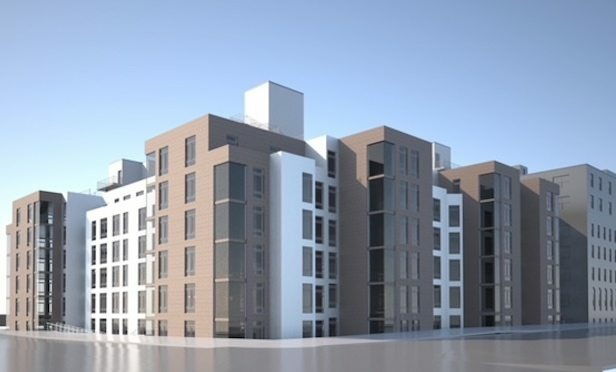 NEW YORK CITY—Bushwick Realty Holdings is developing a full-block, three-phase complex bordered by Bushwick Ave., Himrod Street, Evergreen Avenue and Harman Street. The real estate firm received a $110 million refinancing of a bridge construction loan, placed with Benefit Street Partners Realty Trust. The funds will be used to complete the third and final phase of construction.